From time to time I do a little walking in Wales. 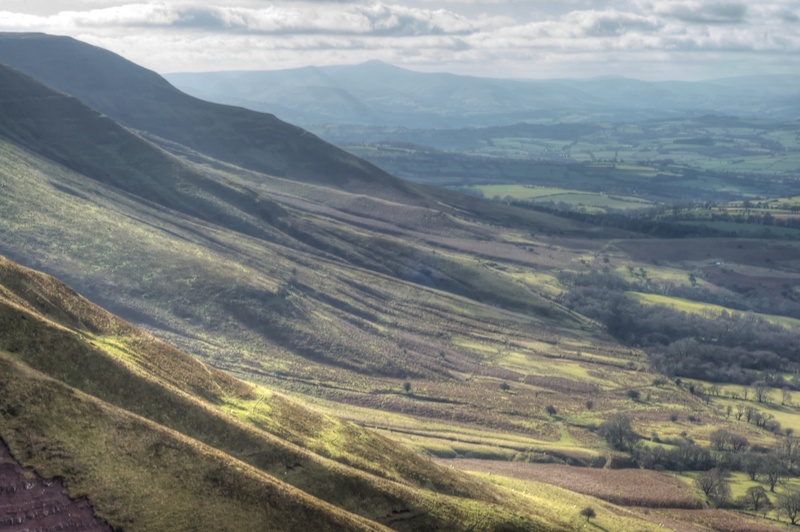 The Black Mountains are an hour and a half from my house, and they are a great place to walk – very wild and moody. This is the northern slopes of the Black Mountains, looking southwest, with the Brecon Beacons in the background.